Wish 107.5 is true to granting wishes! After ten years in the Philippine Music industry, Bugoy Drilon will never forget and in no way will he waiver to fulfill his childhood dream – to perform on stage in a major solo concert. 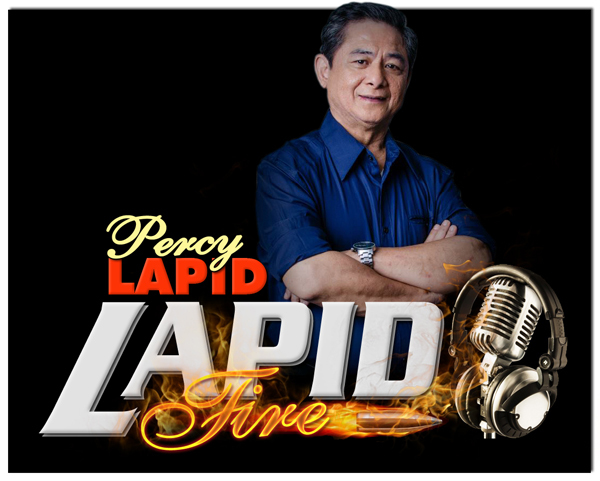 Bugoy is an exceptional singing voice that is truly worldclass, and admired across the globe. His outstanding rendition of Matishayu’s One Day went viral, and has received a lot of attention across the globe. Seeing him now, nobody would even think that this young balladeer was born in Camarines Sur from an impoverished family. As a farmer’s son, making his dreams come true was never easy. He wanted to finish his studies and sing before a big crowd on stage someday. To sustain his studies, he worked as a canteen janitor in their university. Soon a rare opportunity knocked at his door as Pinoy Dream Academy accepted him as one of its scholars. There he emerged as the PDA’s 1st runner up. Today, Bugoy is one of the well-known balladeers in the country who received numerous awards and the rest, as they say, is history. Drilon expressed his gratitude to Wish 107.5 not only because his WISHclusive cover of One Day has been getting massive reactions online — he even received invitation from Matisyahu, the song’s original singer, to perform with him in the United States. Bugoy received the Silver Wishclusive Elite Circle Award, one of the highest citations in the 2018 Wish Music Awards as his Wishclusive performance of Matisyahu’s One Day amassed a total of 38 Million views in December 2017. Wish 107.5 is giving Wishclusive Elite Circle Awards based on the views garnered by a Wishclusive video in a specified period of time: Bronze- 10M views, Silver- 25M views, Gold- 50M views, Platinum – 75M and Diamond for 100M Views.. As of writing, the ONE DAY wishclusive video of Bugoy has more than 74M views and counting. 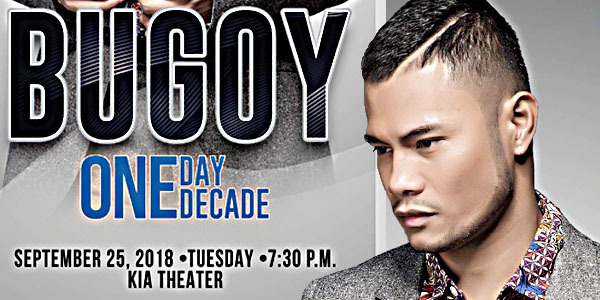 Wish 107.5 presents Bugoy: One Day, One Decade at Kia Theater in Araneta Center, Quezon City on September 25, 2018 at 7:00 p.m.. This marks the realization of Bugoy’s childhood wish to perform on stage in a major solo concert.